And whether that is good or bad remains to be seen. The new codex is almost here and I have been debating what to do with my Grey Knights. I have had a small force of them since their last release and I kept them mainly as an allying force to go with my Cadian IG army, much like my Sisters of Battle. I played them a couple of times as a pure GK army though. Here is what I have, and like most of my collection, it is all unpainted. From what I have seen of the new codex up at my FLGS, this seems to be a pretty solid core army to start with. I do not think I would need to add much too it. 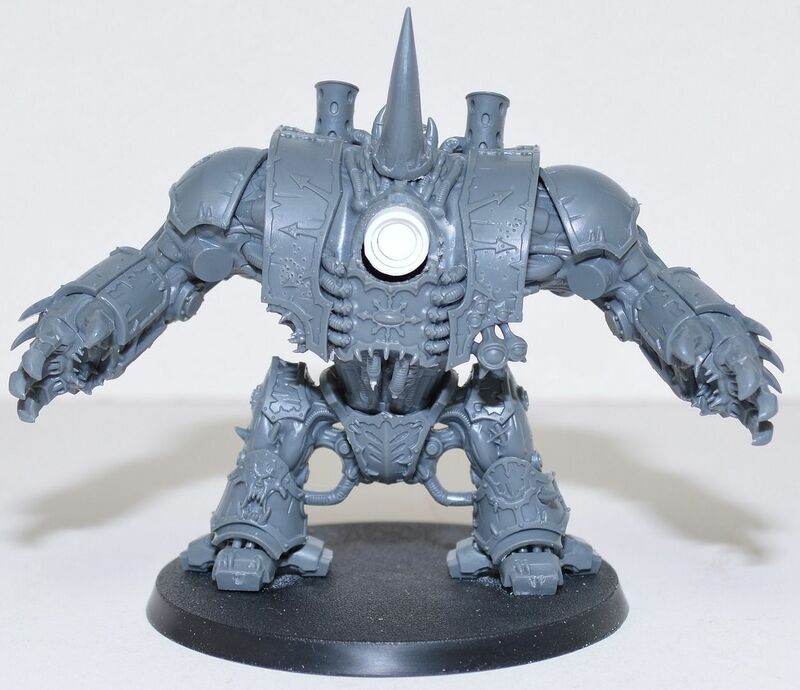 A Dreadknight is a no-brainer of course, and it is just too cool of a model not to pick up. I have been torn about updating them or selling them off, especially since I am very interested in Tomb Kings who are being released in May. There are also the Necron rumors that they will be released later this year. I feel like I am getting too many armies. (How many armies it too many?) But it is not like this is a new army, it is one I already have. So I think I am going to pick up at least the codex and a Dreadknight and give it a try. I might also pick up one box of the new Grey Knights just to get some of the new weapon options. Do you have any opinions on the new GK codex yet? I am interested to hear them. I'm going to adopt my typical 'watch and wait' modus operandi that I use whenever the GW sky is falling. It seems to happen for every codex, where it will probably not turn out as good, or as bad, as people are yelling right now. It will likely be fairly well balanced, and have some interesting builds. What those are, I don't think we'll find out until maybe a week after it really hits.